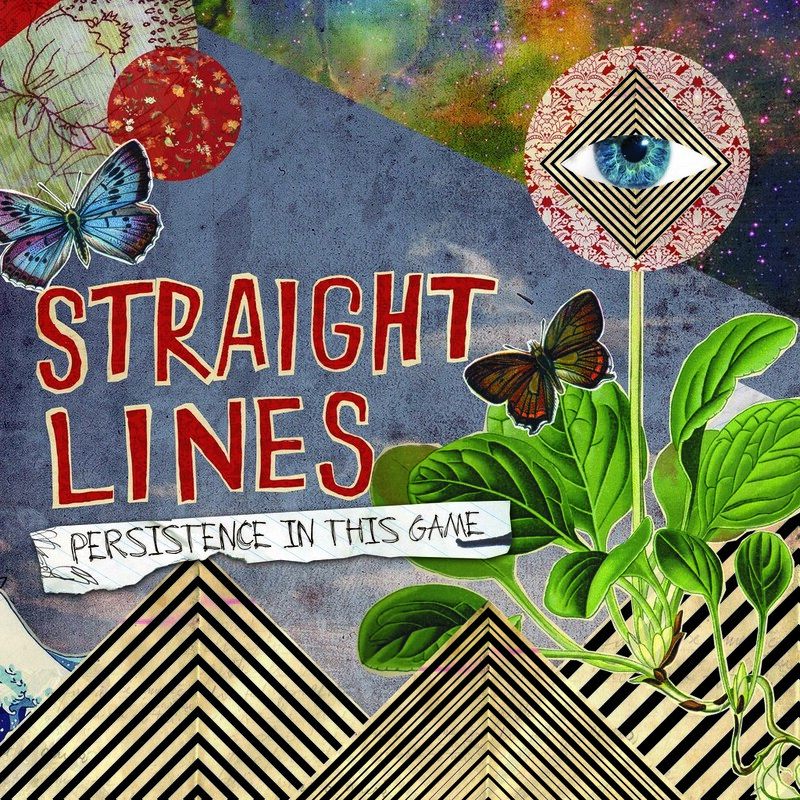 Fresh from supporting tours with Motorhead and The Automatic, young Welsh quartet Straight Lines present their debut album, “Persistence In This Game”. As the album title might suggest, Straight Lines sing largely about the struggles of existence, the crippling mundaneness of everyday life and the desperate need to break out and revolt. Strikingly honest and observant, this music paints a bleak vision of the alienated youth within society, yet remains sufficiently upbeat and catchy so as not to alienate the listener. Quite the opposite, within the opening seconds of the album, we are drawn in entirely, toes tapping all the way. The album’s first track, lively anthem “Versus The Allegiance” presents us with an extremely infectious beat and snappy, angry lyrics reminiscent of those in Muse’s “Uprising”, calling for anarchy and rebellion (“With a fist in the air and a fire inside, don’t need no walls to hide behind/Keep your ear to the floor and your face to the facts or you'll be pulling knives right out of your back”). The result is impressive and, while the majority of the track is relatively heavy and thrashy, a sensible lull is implemented towards the end which blends frontman Tom Jenkins’ sharp, yelpy delivery with slow, echoey backing vocals to great effect. The second track, “Loose Change”, is similarly lively, though much more upbeat; the choppy guitar rhythms and vigorous drumming this time accompanied by lyrics that derive very much more from the indie vein, telling of social outcasts and broken relationships. This indie-style sound is further implemented in other tracks such as the brilliant “All My Friends Have Joined The Army”, which is easily the most mellow tune the album has to offer and reflects the slow yet infectious melodies and twitchy, idiosyncratic delivery of bands such as The Maccabees and Born Ruffians. Other notable tracks include the toe-tapping “Set Me On Fire And Feed Me To The Wolves”, the incredibly catchy “Runaway Now” (due to be released as a single on 1st March) and “The Ballad Of Peter Devine”, a slow, heartfelt composition which will no doubt find its way onto the soundtrack of a romantic TV drama sometime in the near future. And, while some tracks are, inevitably, less impressive than others, none of them are without their own appeal. Indeed “Persistence In This Game”, it could be easily argued, does not contain a single ‘dud’ track, a claim that brings much integrity to the album as a solid debut. Overall, the band’s incredibly tight performances, along with their pondering, provocative lyrics and ability to fluctuate subtly between genres; utilising traits of indie, rock and punk in equal measure, establish them as a band that is clearly capable of widespread appeal. That this simple four-piece band, tightly wound as they are, are capable of successfully producing both angry, passionate anthems and soothing, chirpy melodies with total credibility marks them out as artists with an abundance of potential. Indeed, despite what their name might suggest, Straight Lines have delivered a surprisingly irregular and refreshing debut album, zigzagging between genres and boasting some truly great tracks.